The Arcade join forces with Wonderland for the first time and present the “Kids GT Racing Carnival”, a playground with different kinds of games, all designed to ensure you a joyous Easter break. During the holidays from 14 th April to 17 th April, the 4-days carnival will play host to 8 main-featured attraction, and over 10 classic game booths. 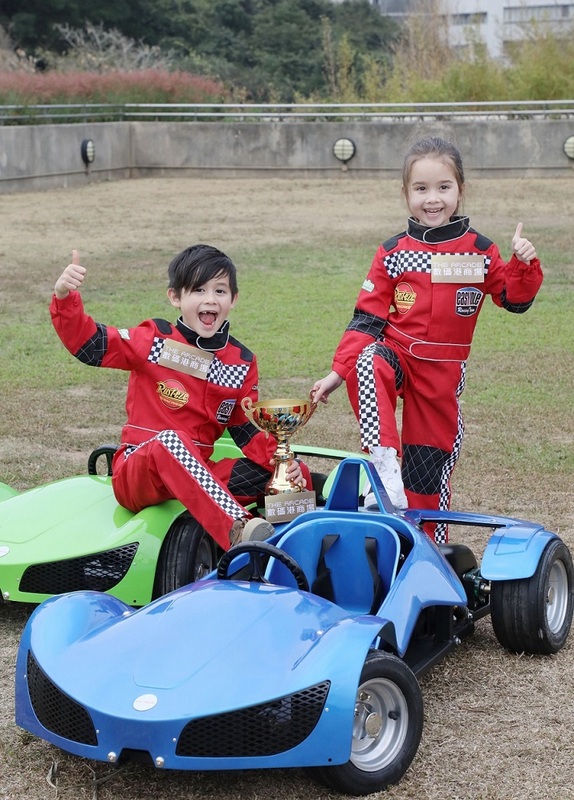 Games include Hong Kong's first Outdoor GT Racing Challenge, Easter Egg Hunting, Bumper Car and “STRIKE” Bowling Fun to name a few. Furthermore , there's also the interactive Creative Aquarium and Bouncy Obstacle Castle . This is absolutely perfect for family and friends during the fun-filled holiday season. 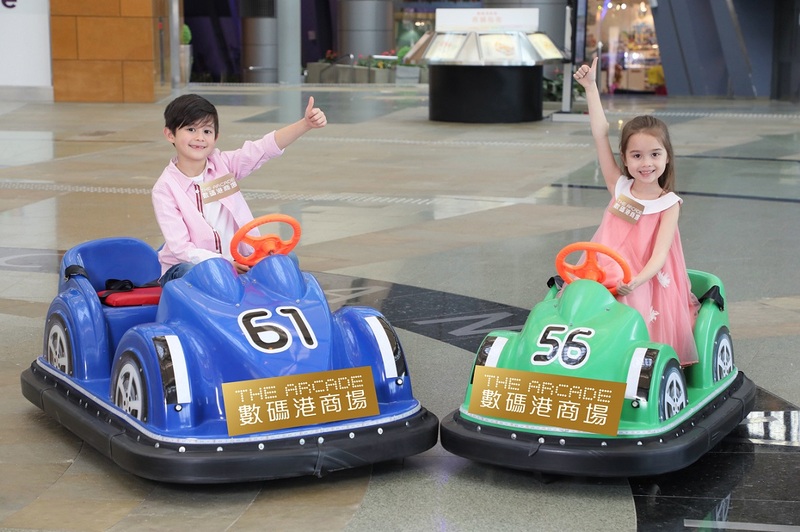 Hong Kong's first outdoor GT Racing Challenge will feature at the Arcade, providing a safe haven for kids to experience the full throttle of a mini GT racecar. Take place on the lawn outside of the Arcade, where families can enjoy the open air, run across the grass and enjoy a no-thrill holiday. 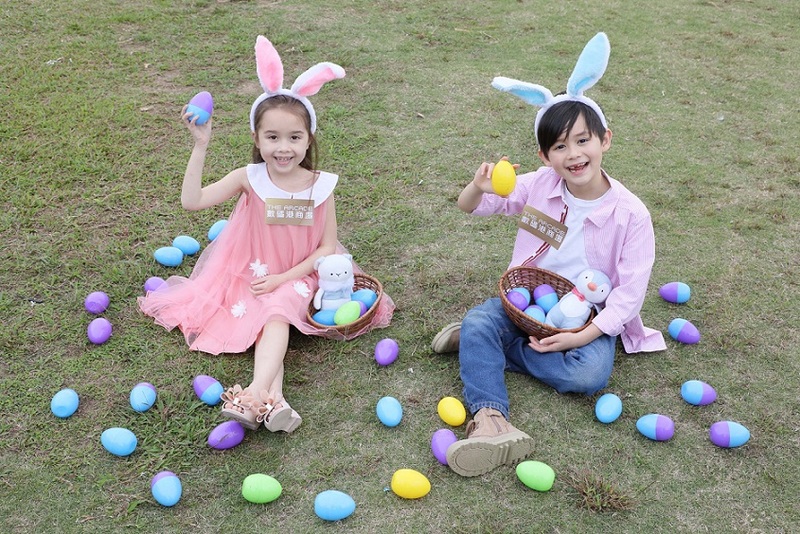 Specially designed Easter eggs will be spread around the area, and it's up to you to locate them with the tips at hand. Digital Zone will feature two interactive projection games, the games are of a creative aquarium and a touch-sensory game on the floor, suitable for kids in all aged and personalities with a creative mind. A mini version of the Bumper Cars game, and invite kids to truly immerse themselves in the thrill and joy. * Children height 90cm or less need to be accompanied by the parents. The bowling lanes will feature 4 lanes suitable for kids and let them feel the joy of hitting strike after strike . Two exciting Bouncy Obstacle Castles with built-in courses will setup at the outdoor area, enjoy and have fun! Over 10 classic game booths will be featured around the Arcade and the Podium to celebrate Easter. Winners will be able to bring home the cute and lovely characters from the Little Adventures series. This offer is valid immediately until further notice. This offer can be redeemed ONCE PER ENTRY. A maximum of two hours of free parking is available per vehicle per visit. The free complimentary parking offer is only applicable at Car Park 1&2 and Car Park 3 at Cyberport 1, 2 &3. This offer cannot be used in conjunction with other promotional offers. Redemption for the complimentary parking offer must be made during the visit to Cyberport by presenting the corresponding Octopus cards or Credit cards at the designated Customer Service Counter at the main entrance, Level 1, The Arcade (Operating hours: 10am – 10pm), or at lift lobby, Level 1, The Annex (Operating hours: 8am – 9pm) before leaving the car park. Only ONE single same-day valid and original machine-printed receipt issued by merchants in the Arcade and the Annex of Cyberport is accepted for redeeming the free parking. Damaged, hand written, re-printed, credit card, EPS payment, Octopus added value and ATM bill payment receipt and receipt copies will not be accepted. Spending in banking services and currency exchange, purchases of any cash/gift vouchers, cash/gift cards and value-adding receipts from any merchants are NOT eligible. Receipts issued by event organizers, vendors or exhibitors are NOT eligible. Vehicles using credit card as payment method should depart within 15 minutes after payment or redemption whichever is earlier. Cyberport Facilities Management Office reserves the rights to terminate or change the terms and conditions without prior notice. In case of any disputes, the decision of Cyberport Facilities Management Office shall be final. In keeping with the government's efforts to promote the greater use of electric vehicles, Cyberport launched its Electric Vehicle Charging Station at Level 2 of Car Park 1 & 2 to members of the public since February 2011. Furthermore, Tesla Superchargers was also introduced since November 2014 to cater users of Tesla electric vehicles. All the electric vehicle chargers are user friendly and take only a few hours to power charge electric vehicles, allowing drivers a convenient and eco-friendly charging solution. If you still don’t have a the Arcade account, you can apply the Cyberport Privilege Card now at the Customer Service Counter inside The Arcade, Cyberport, or complete the application form. Please call 3166 3111 for details.